The poinsettia originates from Central America, more specifically Mexico where they flower during the winter. As a result, the poinsettia is often used in the UK around the Christmas period. 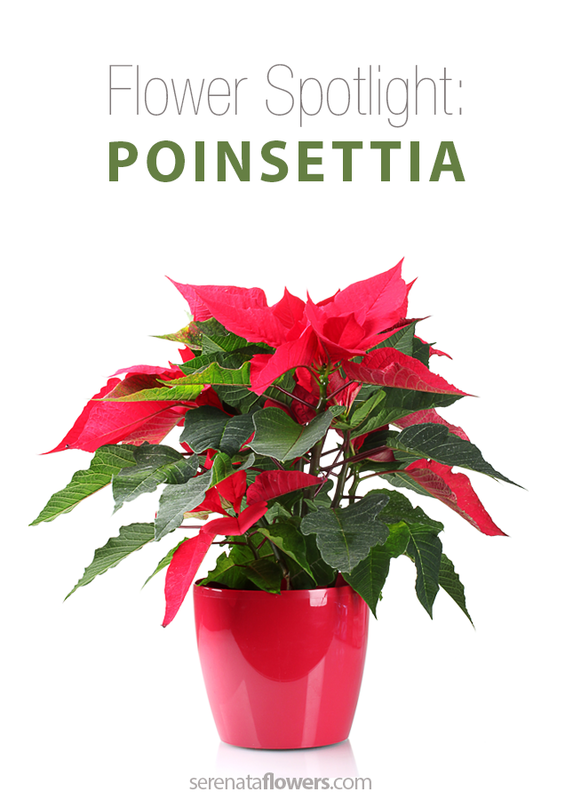 Poinsettia was first established by the Aztecs who had many uses for them. The main use for this plant was to use the flowers in order to make a purple dye for their clothing along with cosmetics for the face. Later, the white sap created from the flower was developed to be used for medicinal purposes during the Aztec period. The Aztecs named the flower ‘Taxco del Alarcon’. The flower became known to us as a poinsettia due to a man named Joel Roberts Poinsett – hence the naming of the flower. Poinsett visited Mexico where he became increasingly interested in the plant and what it had to offer. As a result, he then sent some of them back to his greenhouses which he owned in South Carolina where he later began growing the flowers and sending them out to friends as gifts. One of the recipients of the plant was a man named John Barroom, a man very passionate about flowers and plants. He was the first man to sell the plant in Philadelphia under its botanical name: ‘Euphorbia pulcherrima’, it later became known as the poinsettia in the 1830’s. It is believed that many years ago, a very poor girl from Mexico had no present to give to the baby Jesus at a Christmas Eve festival. The little girl decided to pick a few weeds from the ground and laid it in front of the nativity set. Just as she turned to walk away, the bunch of weeds turned into bright red flowers causing everyone to believe it was a Christmas miracle. As a result of this, bright red flowers have often been associated with the Christmas period and have been known as ‘Flores de Noche Buena’ (flowers of the holy night). However, others believe the shape of the poinsettia flower reflects the star shining over Bethlehem which led the Wise Men on their journey to see the son of God. Whilst it is also thought that the red of the flower symbolizes the blood of Christ and the white leaves represent his purity.